Diane Marie Weckler, 83, of Sturgeon Bay, passed away at home late Thursday night, July 26, 2018. 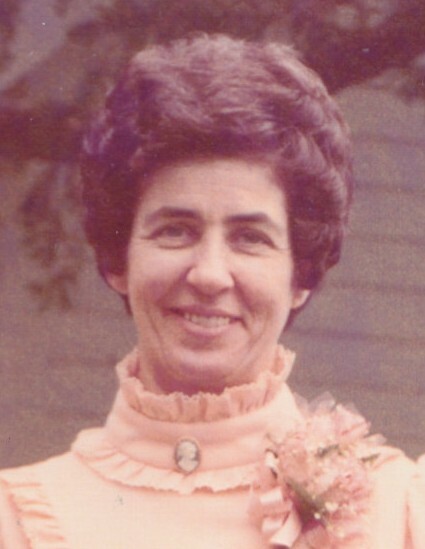 She was born January 29, 1935 in Green Bay, the daughter of the late John and Ceil (Mancheski) Brans. Diane worked at Milwaukee Shoe Factory, for 16 years at PBI (which was like family), and 10 years at Midwest Wire before retiring. Family surviving includes two children, Rodney (Kathy) Weckler of Sturgeon Bay and Janine (Scott) Hendry of Little Suamico; two grandchildren, Jackie (Ryan) Dachelet of Luxemburg and Nicole Weckler; seven great-grandchildren, twins, Aiden and Ethan; her dear LeMieux family; five siblings, Gail (Jerry) Demarb, Pam (Casey) Sturgis, Ginger (Dan) Krueger, Tom Delchambre, and Tim Olson; many nieces and nephews; and two sisters-in-law, Gloria (Mel) Malvetz and Rosemary Weckler. Diane was preceded in death by her parents; and two brothers, Jack and Larry. Her life will be honored with a funeral service held at 11:00 a.m. on Tuesday, July 31, 2018 at the Sturgeon Bay Moravian Church with Rev. Reeder Herrick officiating. Diane will be laid to rest beside her husband, Duane, in Bayside Cemetery. Visitation for family and friends will be held at the Sturgeon Bay Moravian Church on Tuesday from 9:30 a.m. until 10:50 a.m.
Huehns Funeral Home in Sturgeon Bay is assisting the family. Expressions of sympathy, memories, and photos of Diane may be shared with her family through her tribute page at www.huehnsfuneralhome.com.